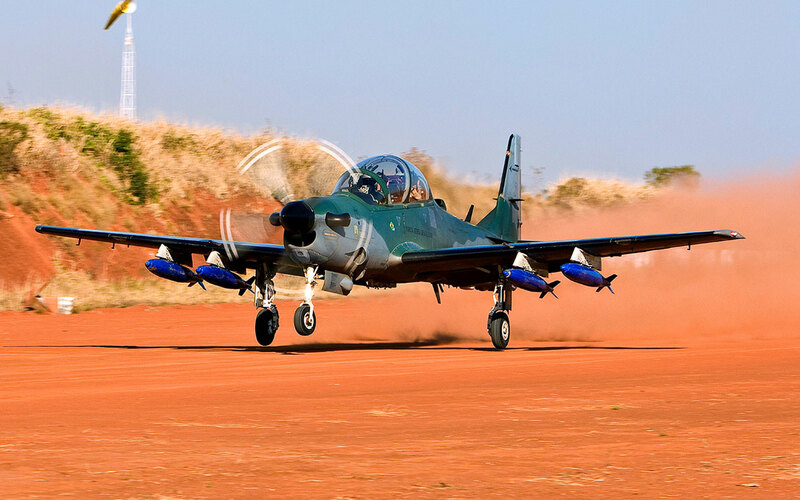 Embraer Defense & Security and Sierra Nevada Corporation (SNC) wil supply the Nigerian Air Force with 12 A-29 Super Tucano light-attack aircraft. The contract for the Nigerian Air Force includes ground training devices, mission-planning systems, mission debrief systems, spares, ground support equipment, alternate mission equipment, contiguous US interim contractor support, outside of continental US, contractor logistic support and field service representatives. The aircraft will be produced in Jacksonville, Florida, and modified in Centennial, Colorado. The aircraft are expected to be delivered to Nigeria as part of a larger more comprehensive training and support package. Taco Gilbert, senior vice president of ISR, Aviation and Security (IAS) at SNC said the combat-proven A-29 is the most reliable and cost-effective solution for basic and advanced flight and combat training, close air support operations, ISR (Intelligence, Surveillance, and Reconnaissance), counterinsurgency and irregular warfare scenarios. “The A-29 Super Tucano has become the global reference for light attack and advanced training with a proven track record in several combat zones around the world,” said Jackson Schneider, President and CEO of Embraer Defense & Security. The A-29, which conducts combat missions on a daily basis in theaters around the world, has more than 46,000 combat hours and more than 360,000 total flying hours. With the Nigerian order, the A-29 is the choice of 14 air forces worldwide. In addition to its combat record, the A-29’s robust landing gear and enhanced clearance enable take-off and landing in even the most austere field conditions. According to Embraer, the aircraft also offers exceptional dependability and accuracy in weapons delivery, making it highly effective in the light attack role.